The Concordia community took the time to wrap up 500 gifts for families in need. The Commerce and Administration Student Association and the John Molson School of Business (CASAJMSB) teamed up with the organization Christmas 4 A Cause to host the Santa Supply Chain on Nov. 24 at 10 a.m.
Non-perishable foods, books, clothing and money were collected in the lobby of the JMSB building, where volunteers helped wrap up the gifts for families in need. A bake sale was also organized, with all money raised going to different families. Marketing professor Brent Pearce is the founder of Christmas 4 A Cause and has been organizing gift wrapping events for 17 years. The organization started when his then-students proposed they have a party to celebrate the end of the 2001 fall semester. Pearce decided to make the celebration profitable for those less fortunate. “We also organize Comedy 4 A Cause, where all the profits go to buy gifts for the families,” said Pearce. He also mentioned how Christmas 4 A Cause has helped 650 families and more than 1,700 children since 2001. Arti Sadhwani, the vice president of marketing for CASAJMSB, said their goal is to reach over 100 families this year. “We got all these gifts sponsored and we are donating them to families across Montreal,” she said. 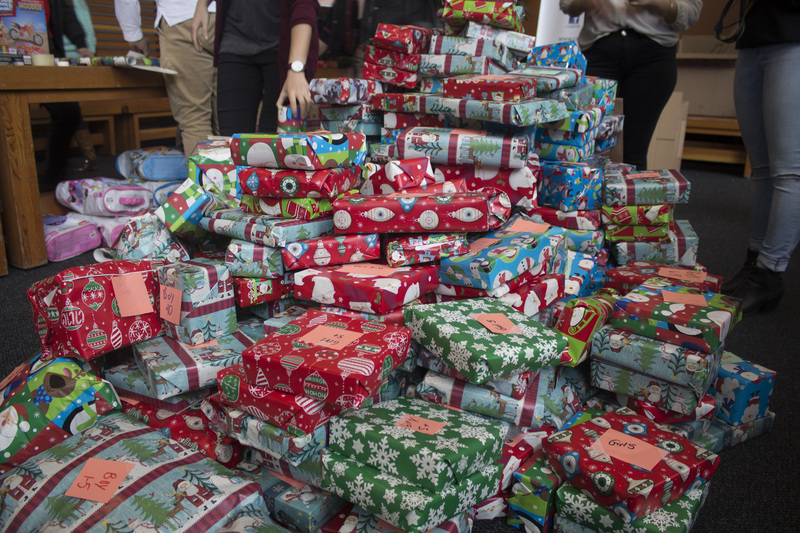 The student association managed to receive over $350 in donations and wrapped 500 gifts.